As Season 3 heads into its final stretch, a shakeup in one of Albion's top guilds threatens to shift the balance of power. Season 3 has been Albion Online's most competitive to date. Just past the halfway point on August 4, the first- and second-place teams – Money Guild and Team Casualty – were within a few thousand points of each other, a negligible number for high-ranking teams. Team Casualty have long been one of Albion's top guilds and had high hopes for Season 3. Ellipses, the guild leader, discussed the season (as well as their ongoing rivalry with Crimson Imperium Reborn) in a preseason interview on the forums. The Fleet and Frogue One, both strong guilds in their own right, paired well with Team Casualty, and the synergy between these guilds made their alliance, ALONE, the most powerful in Albion man-for-man. 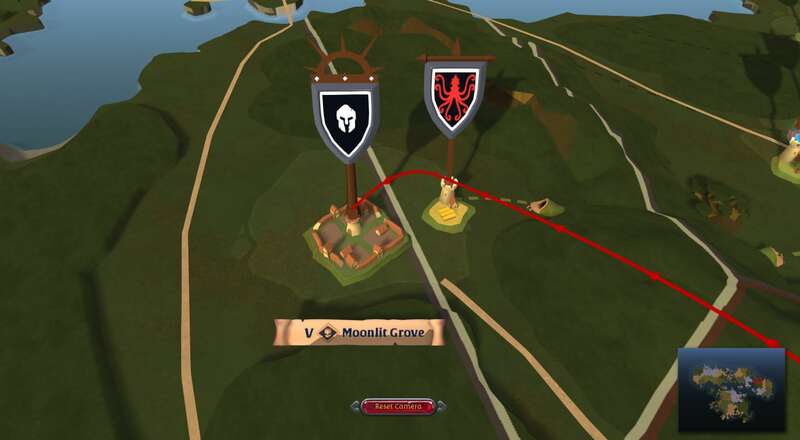 Money Guild's alliance, OOPS, was able to remain in power due to the combination of their elite GvG team and strong-handed diplomacy, which saw them retain control over large swaths of the Outlands while maintaining a truce with the powerful guild Crimson Imperium Reborn and their alliance Partnership of Equals. But with Team Casualty able to hold large parts of Cumbria and strategic footholds in Mercia, as well as having a legitimate shot at taking any castle on the map in hand-to-hand combat, they appeared to be in fantastic position to challenge Money Guild for the top spot. Then, on August 8, Team Casualty awoke to find their alliance disbanded, five of their plots dropped, and countless resources missing from Fecund Mound Meadow, their de facto base of operations. 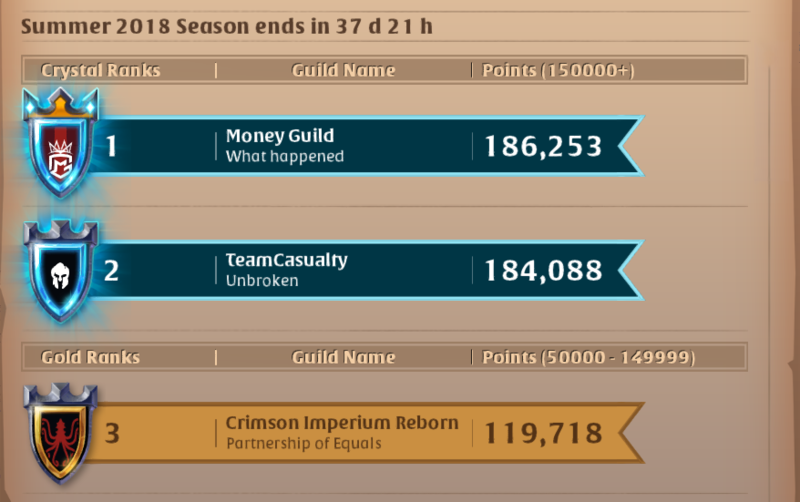 With their formerly powerful guild in disarray and their options for new resources, weapons, and food severely depleted, Team Casualty's shot at a Season 3 championship seemed in doubt. So far, Team Casualty has taken this tremendous hit in stride, immediately jumping back into the fray: on August 8, the day of their devastating loss, they founded a new alliance, POWER, and were able to successfully reclaim Moonlit Grove in Mercia. Whether they can continue to reclaim lost territories and resources over the coming weeks remains to be seen, but with season points doubling after the final territory reset on August 18, the Season 3 crown remains in play.